If you've been sexually abused or experienced sexual trauma, you may feel confused, angry, ashamed, and unable to move forward emotionally. You're not alone. Like many teens who've been abused, you may be tempted to keep the secret locked deep inside and feel uncomfortable discussing your struggles with others. If so, this book can help you find your voice. 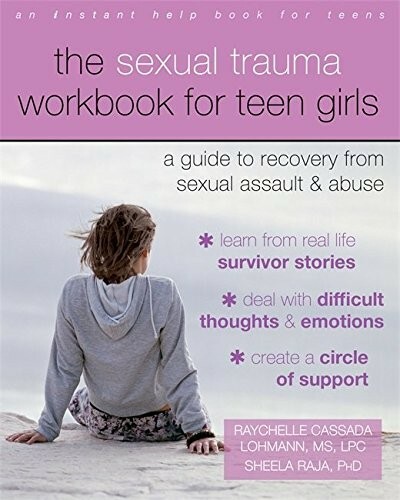 This empowering workbook will help you move past your trauma and serve as a comforting reminder that you are strong and resilient. Healing is possible — and with healing, comes victory. In this book, you'll find true stories from other teen survivors, and in reading the stories you'll find reassurance in knowing you aren't alone in your experiences. You'll also find practical and proven-effective strategies and exercises to help promote emotional healing and reclaim your sense of self. This book will help you as you start on the path toward healing so you can move forward with confidence.